Dissolve honey mix in lime juice, then put in blender with all other ingredients, adding the ice last. Blend for 15 seconds. Depending on the size of your blender you may have to do half the recipe at a time. Pour into your volcano bowl, pour a shot of 151 into the top and light it up, stick those lonnnnng straws in and have a ball! Back in my wild & single days & when I was living in Honolulu, I invited friends over one night & gave each one his/her own “admittance ticket” of what to bring from the shopping list of cocktail ingredients for this “Samoan Typhoon” cocktail. I lived in HNL 25 years ago, & this is EXACTLY the very same recipe I found & used that night. 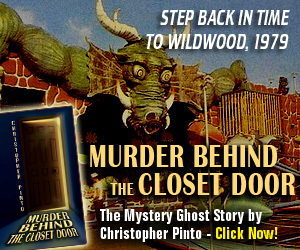 It came from the “Honolulu Advertiser” newspaper. Looking at photographs from that party, a few years later after my two children were born, I had to hide those “incriminating” photographs from them. I still have those photographs;& I am happy to report that on that aloha-filled evening, Samoan Typhoon did, indeed, hit Oahu … & did major damage! The only thing that I changed from the recipe(because I did not have any on hand) was the honey. I used agave nector instead. 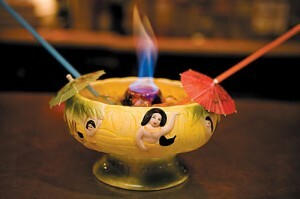 Since finding Tiki lounge talk.com, I like the Tiki Vibe you give off. 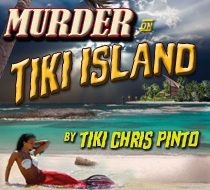 I’ll be back for more Tiki fun in the future. 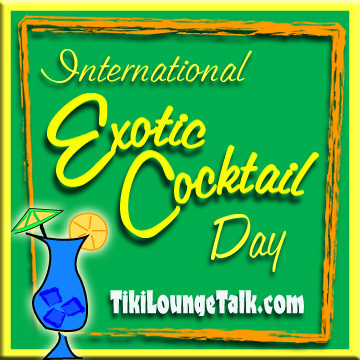 Since finding Tiki lounge talk.com, I like the you Tiki Vibe give off. I’ll be back for more Tiki fun in the future.